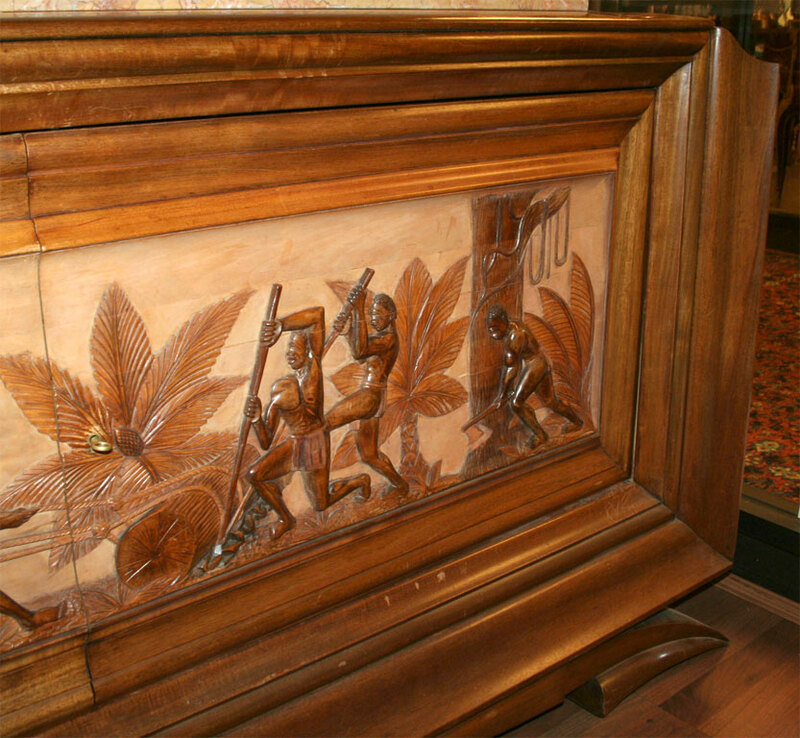 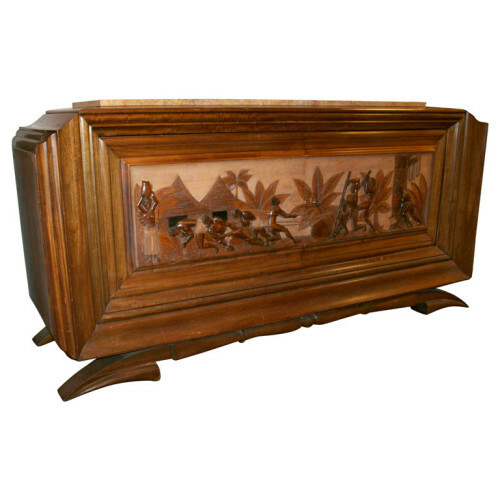 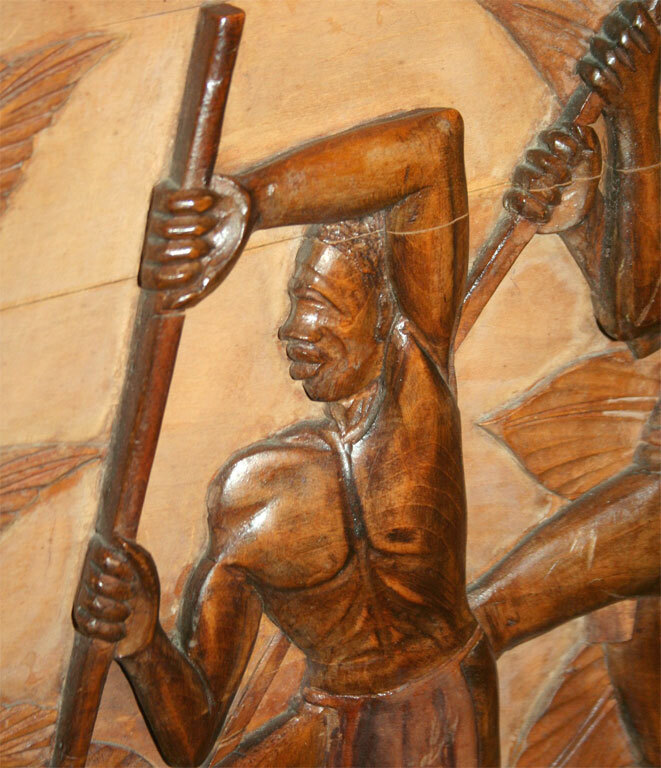 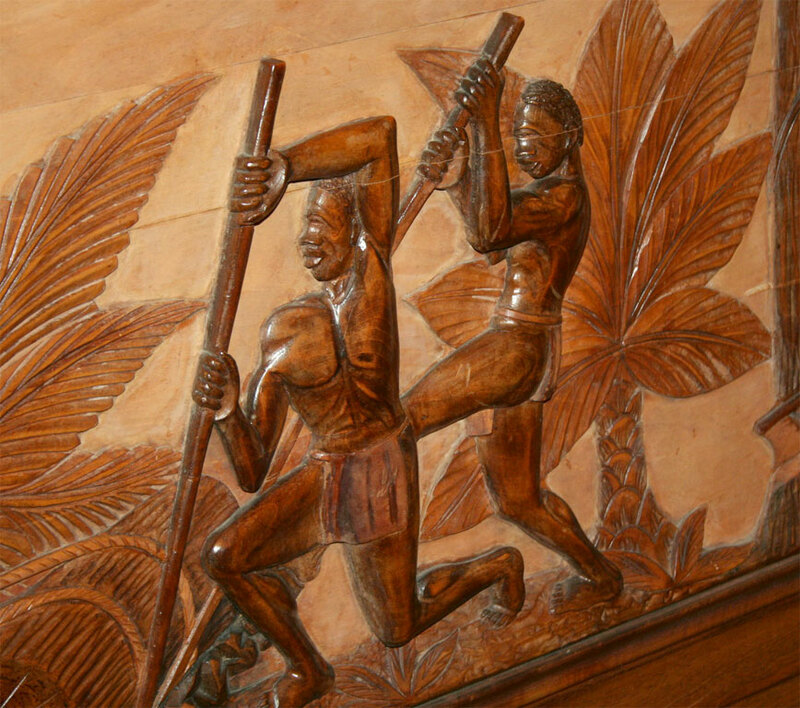 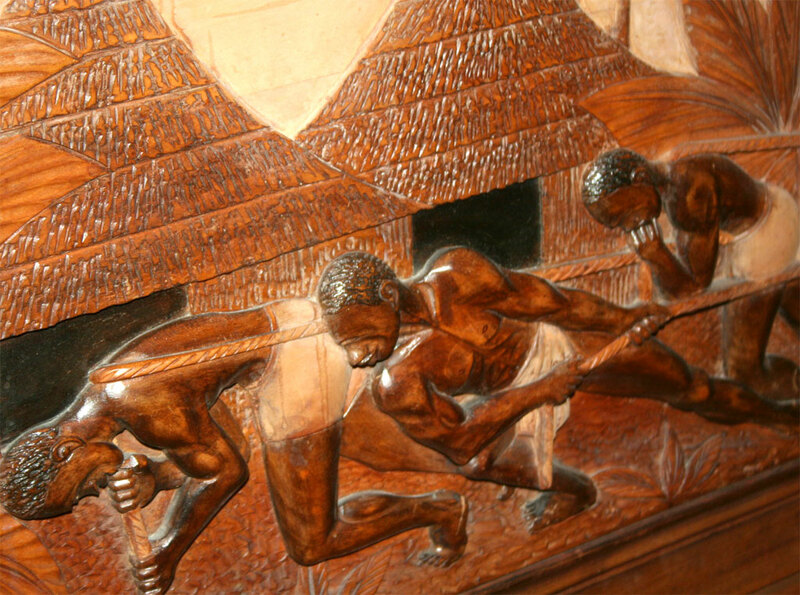 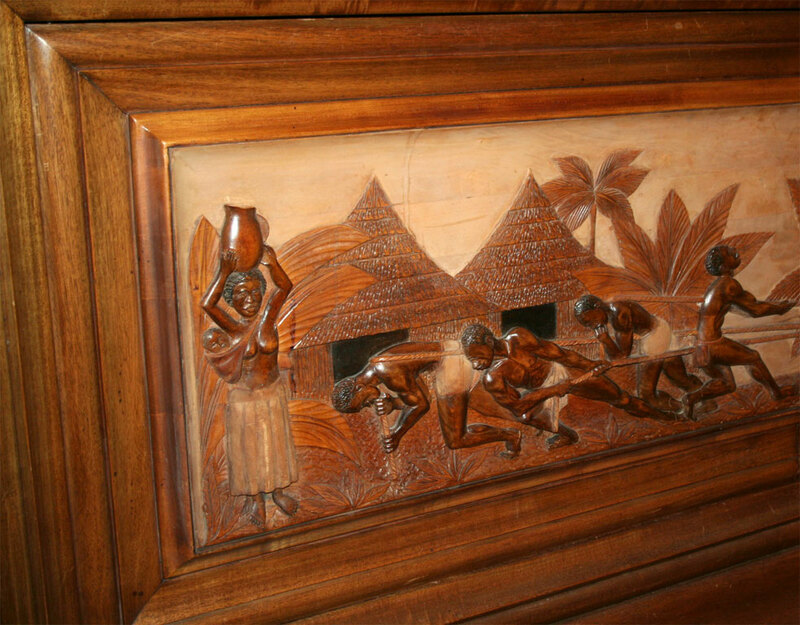 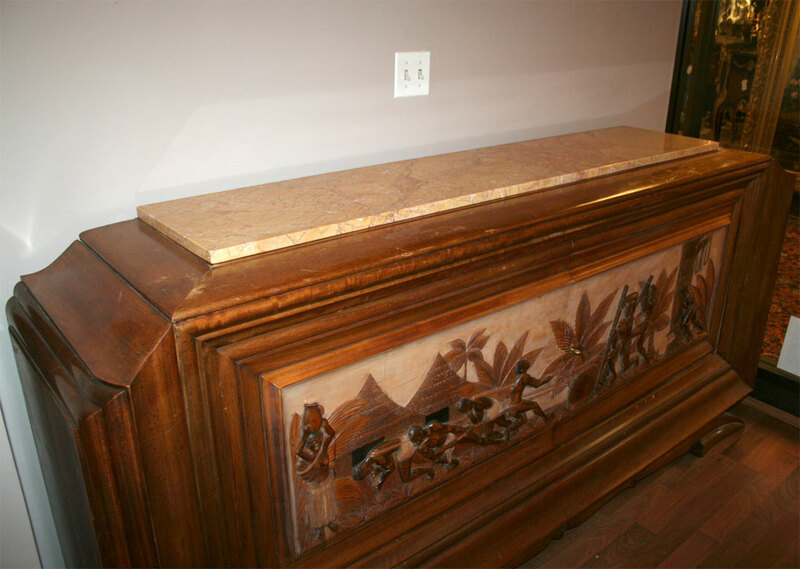 A walnut and marble buffet from circa 1930's, beautifully carved in relief with a colonial African scene. 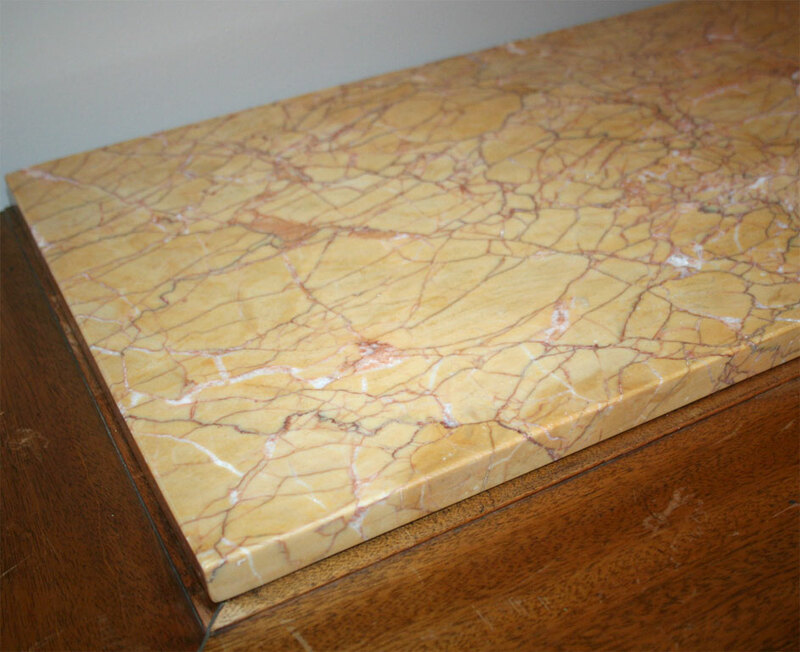 Matching Server and Table available. 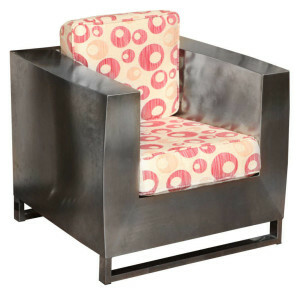 JONATHAN SINGLETON “Crate”, stainless steel cube lounge chair with upholstered cushions, circa 1980. 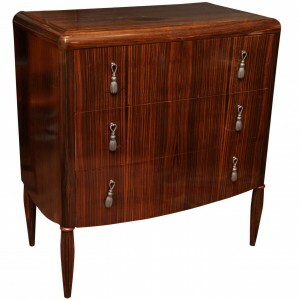 Height 35 in, Width: 33 in, Depth: 35 in. 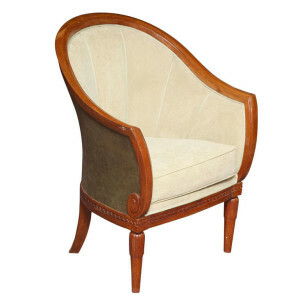 An Elegant High Art Deco Armchair in mahogany, c.1920. 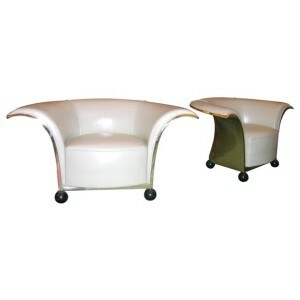 The back covered with green leather, the front upholstered with light green suedette. 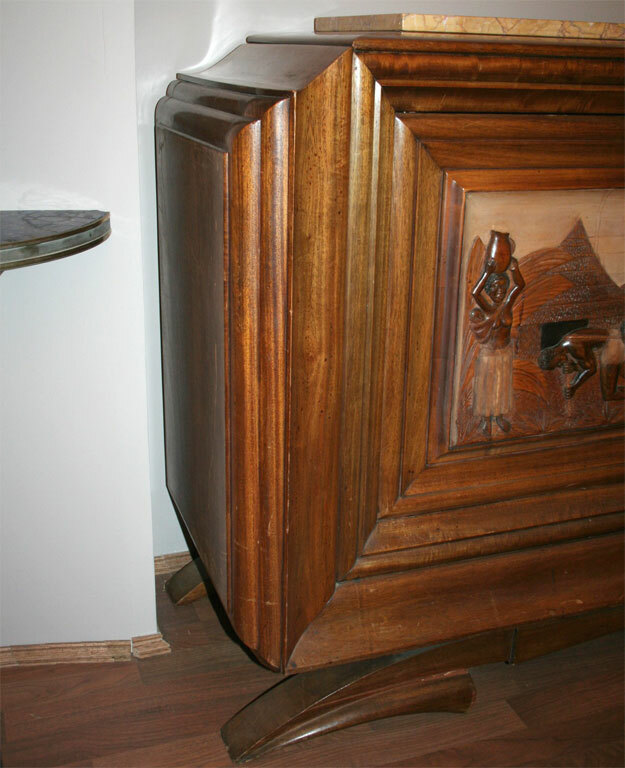 H : 36 ¼ L : 27 D : 25 ¼ in. 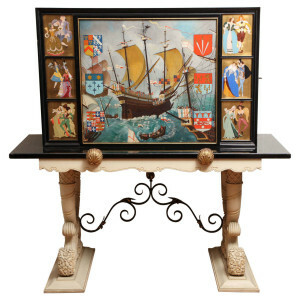 1940’s bar cabinet in Rennaisance Revival Style, with polychrome hand painted decoration on black laquered wood, depicting a naval scene with coat of arms symbols and the corresponding ladies and knights dressed in different styles of fashion. 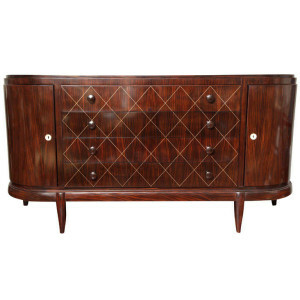 The Interior is fitted with burgundy painted metal racks and wine cooler, the lateral sides interior with glass shelves. 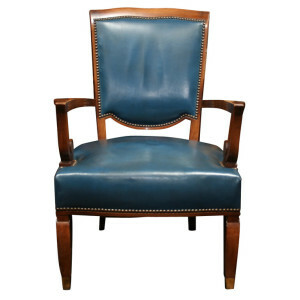 A set of 4 French Art Deco Armchairs by Leleu, in rosewood upholstered with blue/vert leather.Model 2915, circa 1939. 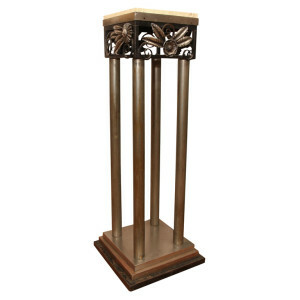 A French Art Deco Pedestal, with four tubular metal uprights and travertine stone top, decorated with hammered wrought iron stylized leaves. 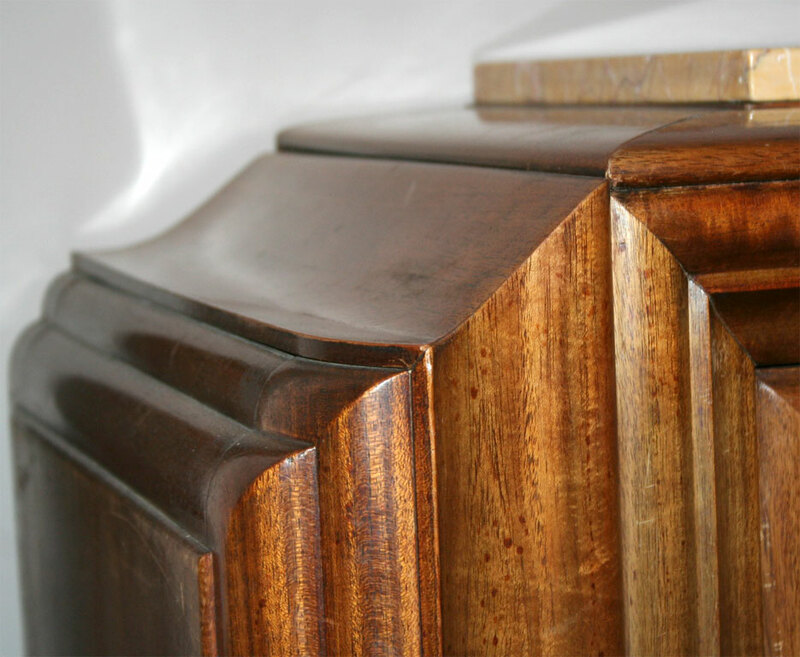 Created in 1935 for the Canadian Embassy at the Hague, upholstered in light green leather, with polished brass back and lacquered wood spherical legs.